This will be a gift for a friend but, as it couldn’t fit into a suitcase, it ended up on display for all to see. Yeah, that’s how we roll. The 3 of us (+ tiger) walked briskly to Shibuya Station to catch our train and decided to warm up with something warm from the vending machine on the platform. 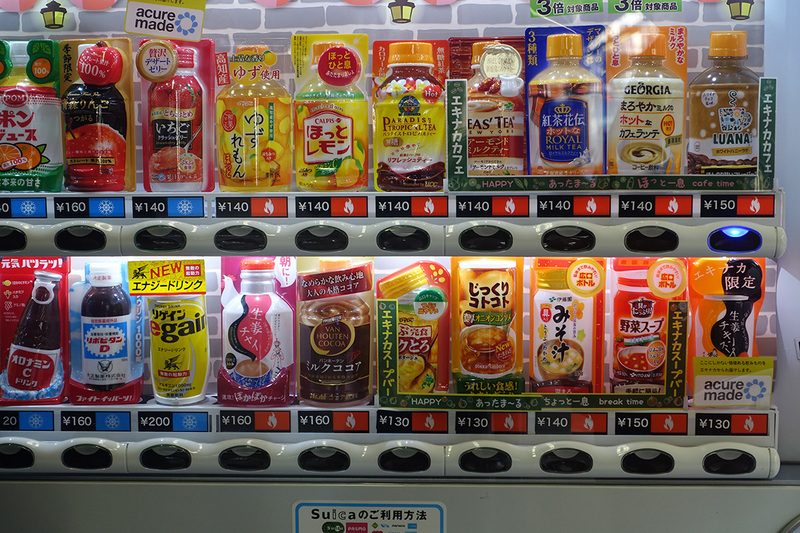 It’s pretty cool that vending machines can serve up hot drinks as well as cold here. The drinks with the blue icon next to their prices are cold and those with the red icon next to their prices are hot. Pretty neat, huh? I chose the hot chocolate since that seemed to be a safe choice and it was actually pretty good. And warm. “Warm” being the main point. We ended up huddling by this vending machine since that was somewhat protected from the biting wind. Here is what the platform looked like facing away from the vending machine. 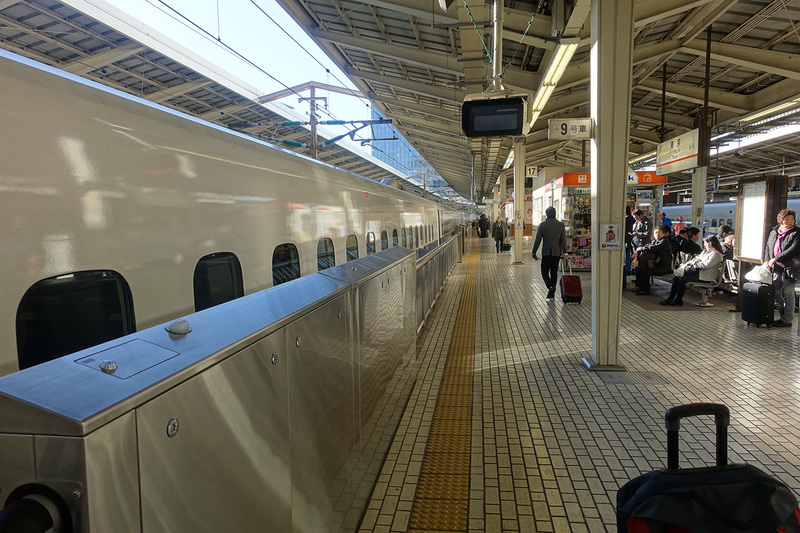 We watched commuter train after commuter train come through the station completely packed with people so it turned out to be a very good idea to just use the Narita Express to connect with our Shinkansen at Tokyo Station. 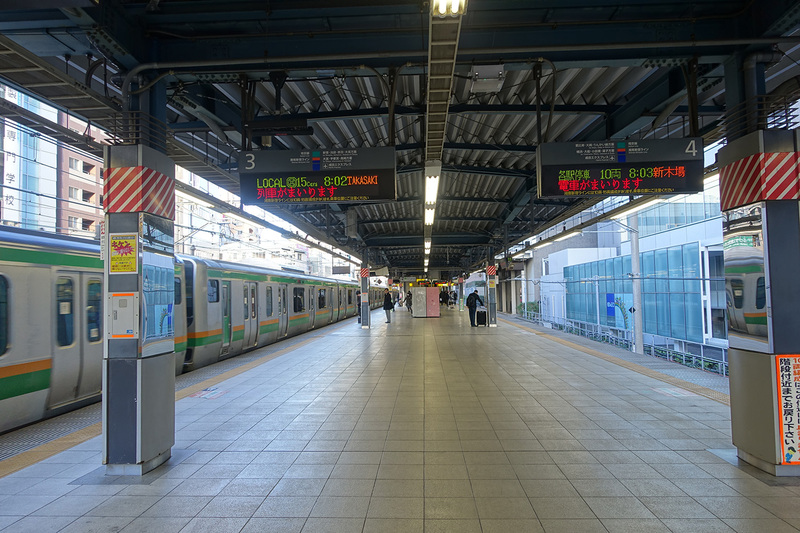 We could have stopped at Shinagawa to catch our train but we wanted to stop by Tokyo Station for some shopping and good food beforehand so that’s what we did. Here is where we got our provisions for the journey. We didn’t have a problem of finding something we wanted; rather, the problem was narrowing all of the choices down! 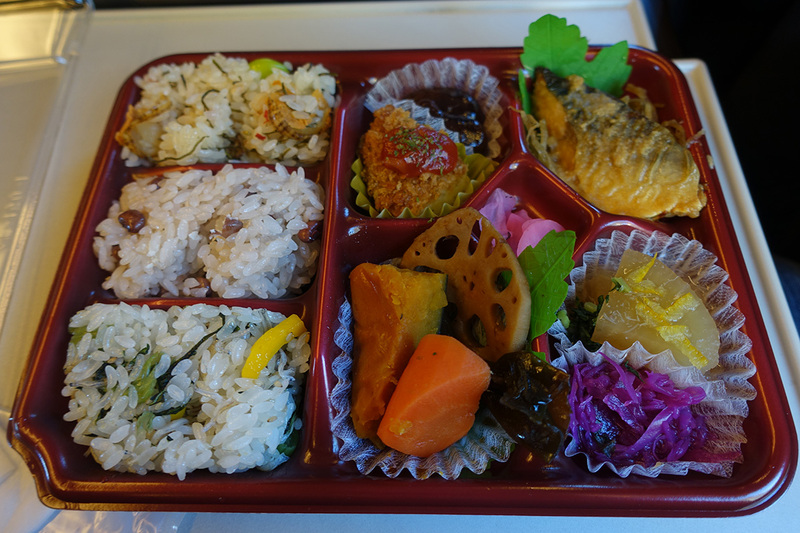 We chose a few different things and then headed for the Shinkansen platform. Here is our train as we waited to board. As we had heard, the train left exactly on time. Inside, the Green Car was very spacious and comfortable. All of the seats reclined far and they even had a button on them where you could have them heat up (nice!). There was also a 2-prong power outlet for each seat so that made it nice to charge our phones during the trip. 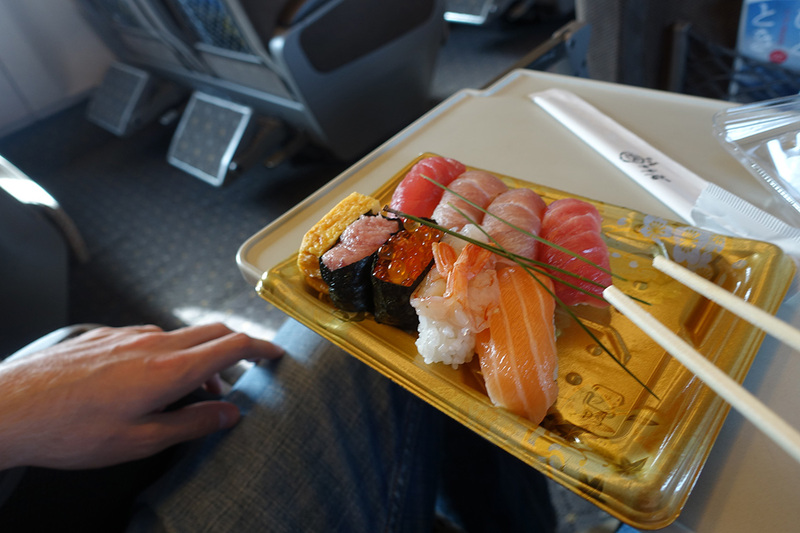 After a bit in the train we dug into our noms. We thought it strange at the outset of our trip that 2 of us were seated in one row and 1 was seated behind us at the window instead of across the aisle so we were all next to each other. 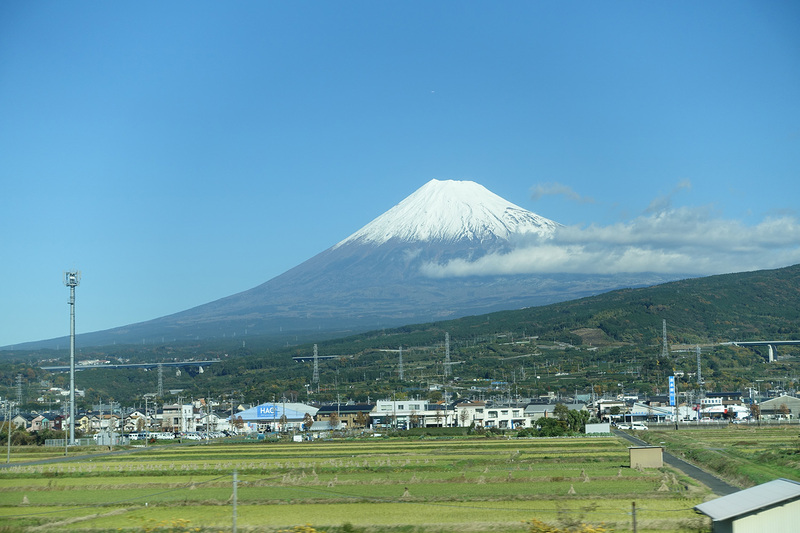 After about an hour on the train, however, we found out that our Japan Rail booking person did this deliberately for a reason. 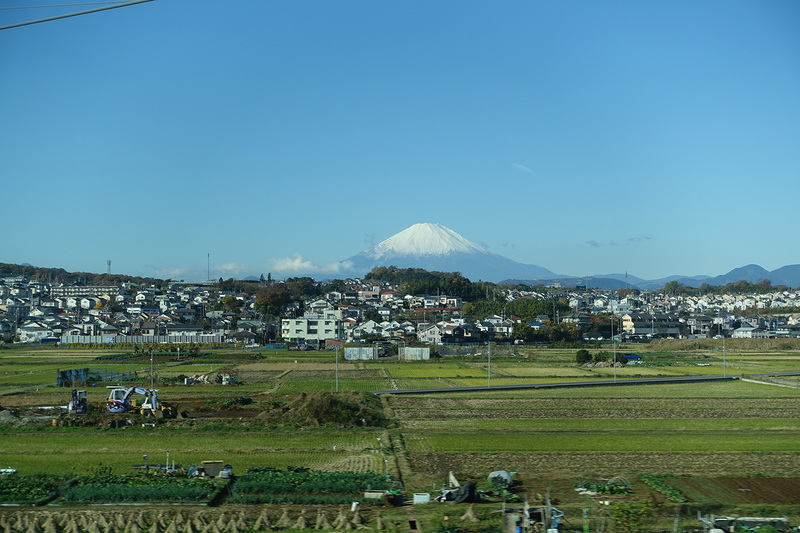 Mount Fuji! 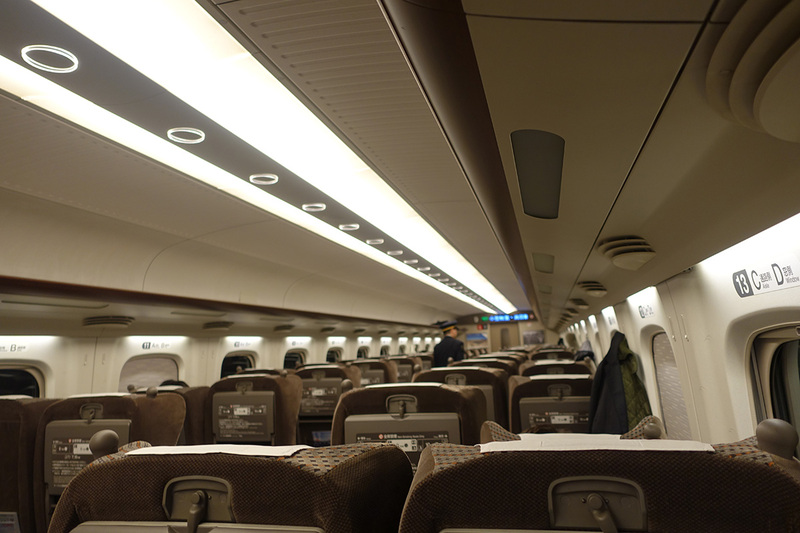 We could see it as we were seated on the right side (north side) of the train so it was really great that we were put on that side and that we had 2 rows so we could all see it. As the journey went on, we kept getting closer and closer to it. 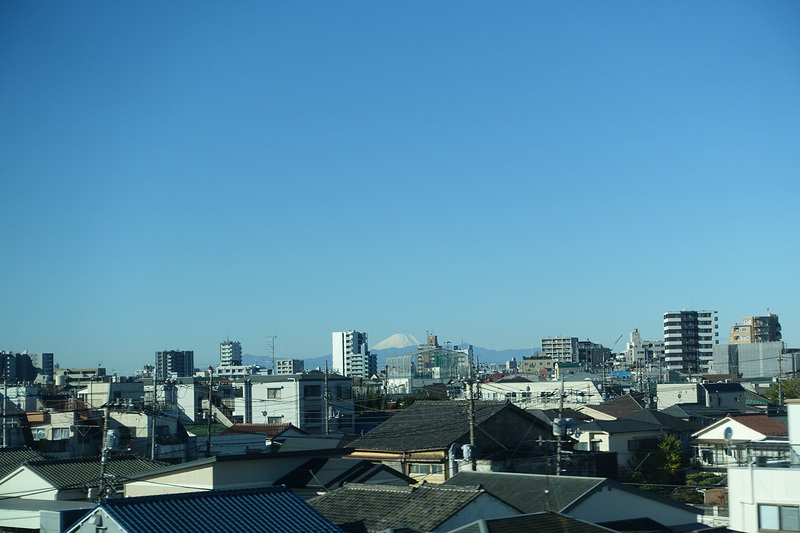 We were very fortunate that it was such a clear day so we could see it without clouds shrouding it! This is one of the best photographs I was able to get. 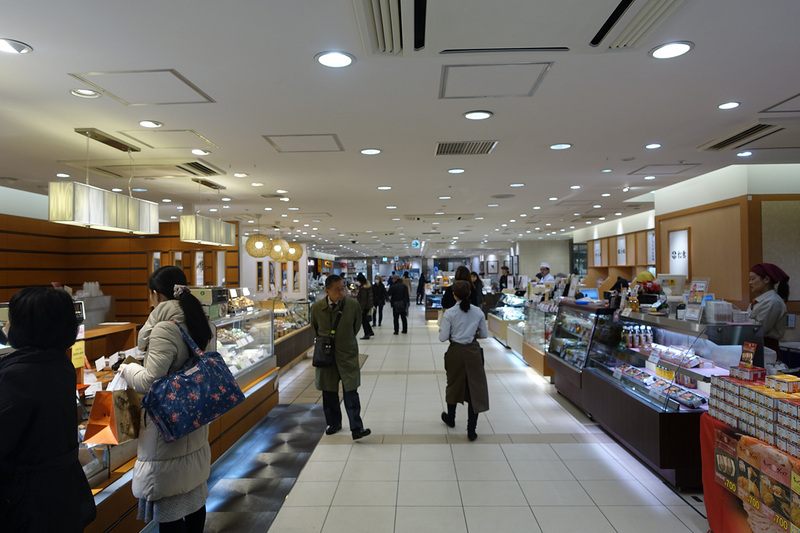 When we arrived in Kyoto, my friend who didn’t think he needed to prepare for the cold caved in and decided to get a pair of gloves so we headed across the street from Kyoto Station to a shopping mall. 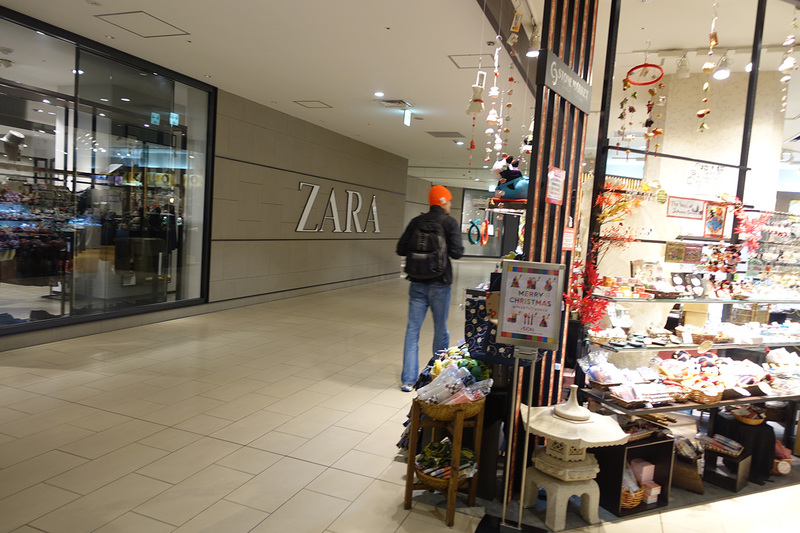 While we waited, my German friend with the orange hat and I browsed the nearby shops. Here’s your first glimpse of the orange hat – you can’t miss it. 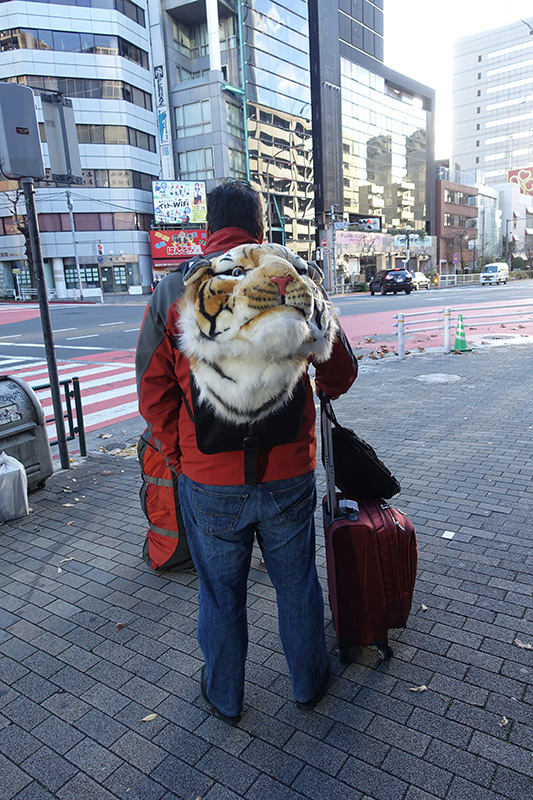 After getting my friend some warmer attire, we caught a cab to our rental house. 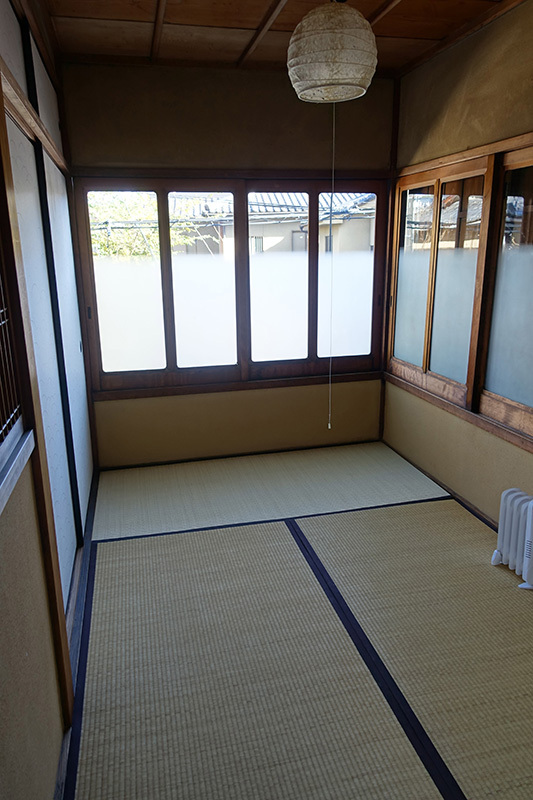 We deliberately chose a traditional house for our Kyoto experience and it turned out to be very traditional. 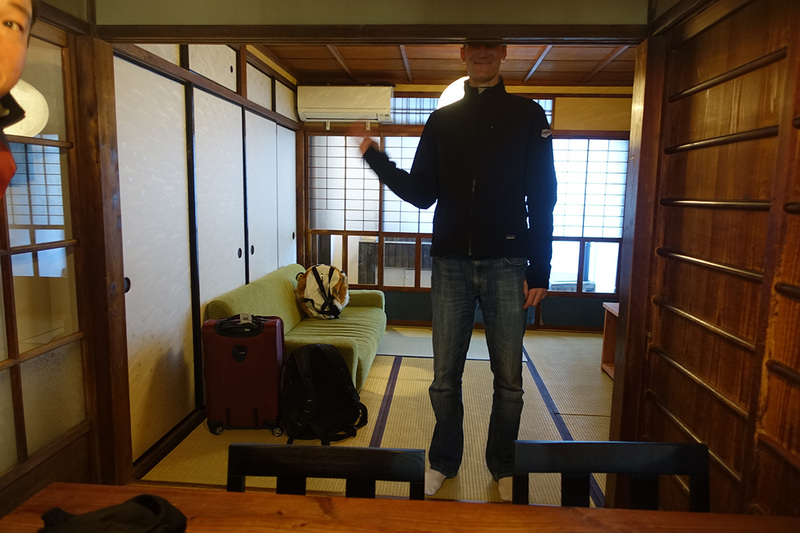 Seriously, it was very nicely kept and a good experience – it was just not made for tall people. 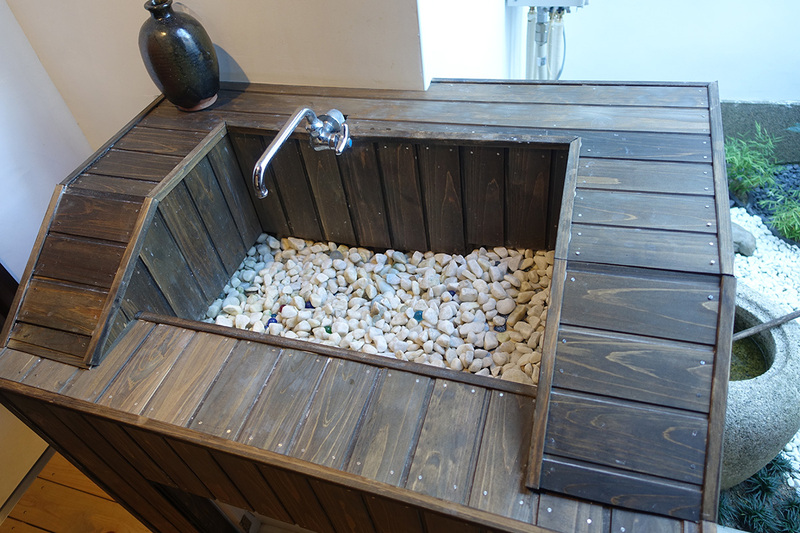 To get to a bathroom facilities, we had to go outside – through the sliding doors at the rear of the photo above and past the outdoor sink. Note there is only one handle on this faucet – yes, it had only one temperature and it was cold! 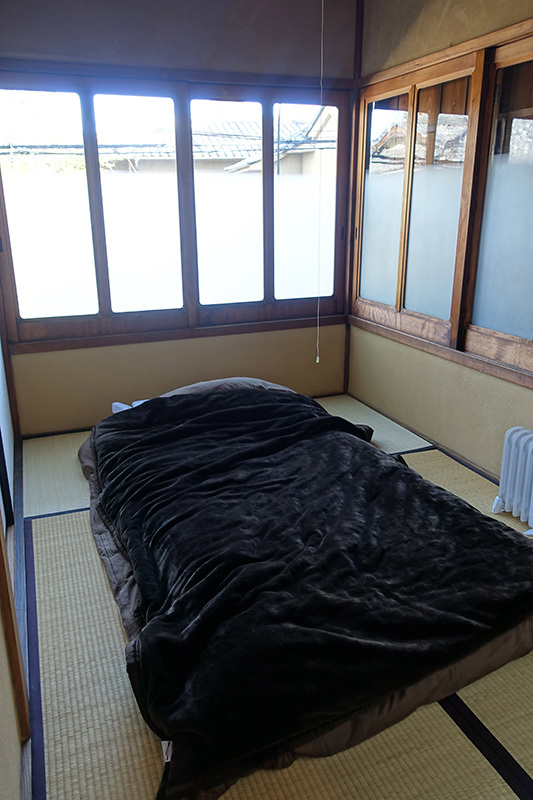 The temperatures in Kyoto were 40-45° F for the high temperatures (~7° C) and about 34° F (~1°C) for the low so we were kind of roughing it, especially since the sliding doors and windows weren’t sealed – there were many gaps and opportunities for drafts. Here is a picture of the room in which I stayed. Here it is once I made up my futon bed. This was only the start of our Kyoto adventures, however, so stay tuned for Part 2.